Any law can be difficult to decipher but we all need to understand what our local Social Host Law covers. (See Disclaimer). Though we’re not planning to break the law, too many SHL versions take away our ability to control whether we run afoul of it or not. We also need to be able to discuss it intelligently with our spouse, our friends and especially our children. For more information about Social Hosting and the Law, visit our FAQs page. What is the action that makes them liable? Do you have any control over liability? 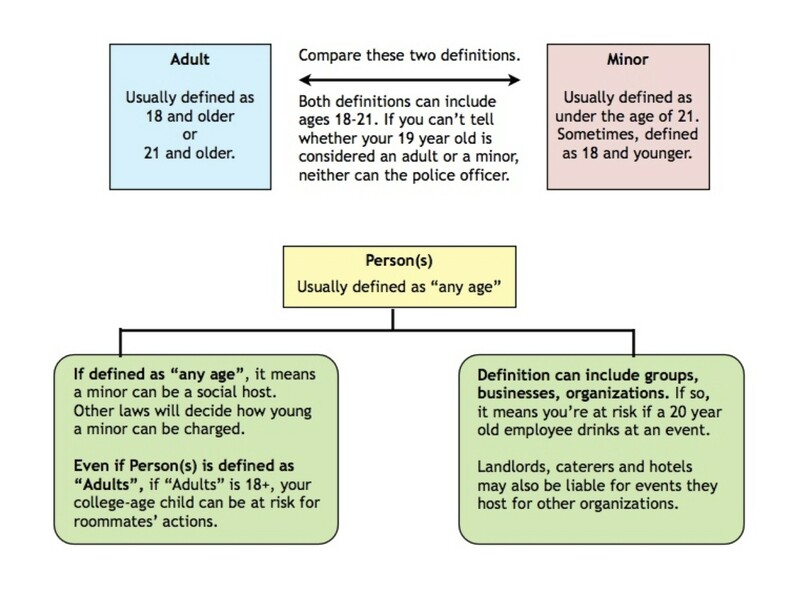 Look in the Definitions section for how the law defines these key words: “Adult”, “Minor” and “Person(s)”. They can answer whether you, your child or your business are at risk. It can get very confusing, especially when the definitions for both “Adult” and “Minor” might include the same age bracket, what we call the doughnut-hole of adulthood. What are the actions that makes them liable? Prohibited acts. 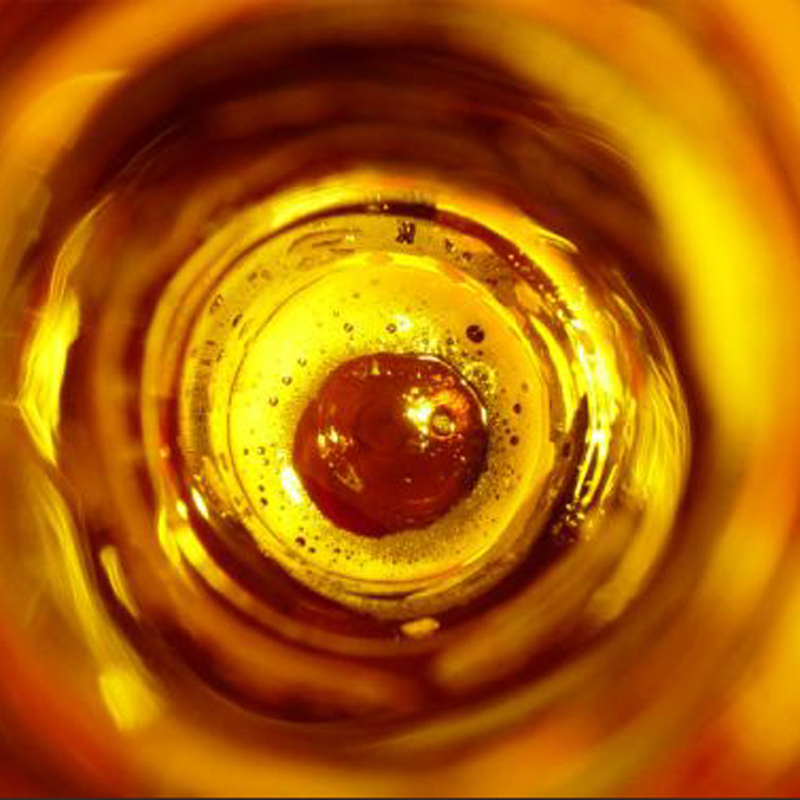 It is unlawful for any person(s) to host or allow an event or gathering at any residence, premises, or on any other public property or private property where alcohol or alcoholic beverages are present when the person knows or reasonably should know that: alcohol or an alcoholic beverage is being possessed or consumed by an underage person; and the person failed to prevent such possession or consumption by an underage person. All social host laws will have the words “allow” or “permit” included in the definition section. However, the issue is how “allow” or “permit” are modified. Look for the words “knowing”, “knowingly” or “aware”. Those words mean the state must prove the host knew that underage people were drinking. If they’re absent, than the law’s reach is broadened to include people with no means to do harm. Now, look for the phrase “reasonably should know”. That means that the evidence of drinking was so obvious even a casual observer would have known. who determines what is reasonable? It could be the arresting officer, the district attorney or a jury. Social Host Laws are usually classified as misdemeanors and the penalties are a combination of fines and/or jail time. Fines can range from $250 per event to thousands of dollars per count. Jail time is rarely applied except in extreme cases or if the person can’t afford the fines. Although the penalty section is usually the easiest-to-read, sometimes the law states the class of misdemeanor and the penalty is the same for all misdemeanors of that class. That means you can come home from dinner or the movies to find you are charged with a crime and need to either pay the penalties or an attorney to fight the charges. Your name and photo can appear in the local paper, online news, local TV news and mentioned on the radio. Like many of the stories on this site, your case can become national news and you can spend the next 18 months or more fighting the charges in court.